When Penny, today's February fashion featured individual, was around twelve, she remembers being bullied which lead her to believe something was wrong with herself. Penny became introverted and felt alone. 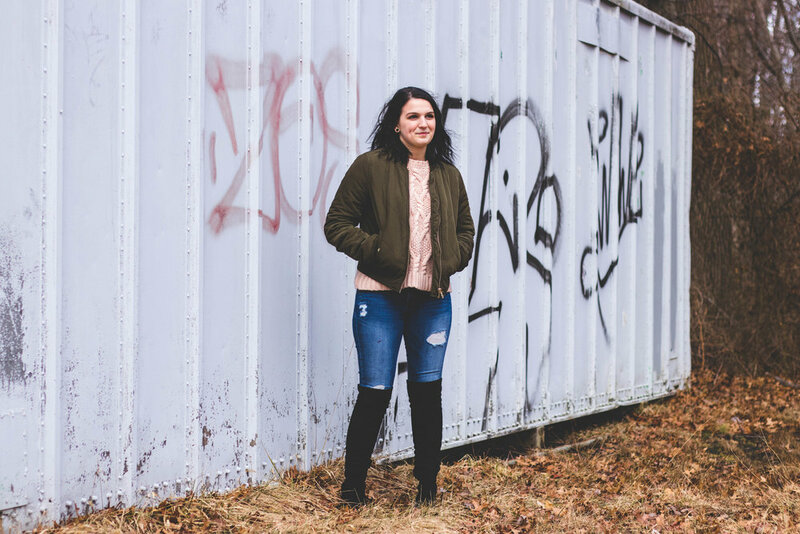 By thirteen, she was diagnosed with anxiety and major depressive disorder which changed her drastically. It was a challenge to be happy and to maintain healthy friendships. Any medication Penny took did little to help, and it was if she dug a hole that she couldn't get out of. Penny recalls doing a lot of destructive things, hanging out with a bad crowd, and doing poorly in school. Even after a multitude of therapists, she still found herself just going in circles. For five years, Penny felt as if she didn't belong anywhere until she had found a therapist that created an awesome relationship with her. Penny comments that her current therapist understands her and has a passion to care for others. Every week, Penny looks forward to seeing her therapist. Penny also recalls what turned her around. Her therapist gave her two options. Either she could go away to a residential program away from her town and family or take a stand to fix things. It was a wake-up call for Penny, and she realized how bad things had become. From her experience, Penny learned that people don't get better unless they want to and that when we treat patients like they are people, a much stronger connection can be formed. Soon, Penny found a medication that worked for her, cut ties with those who weighed her down and made new friends who are full of motivation and support. Penny found herself being much more productive. She's doing great in school, and she's improved so much that her therapy is coming to an end because it's been decided that it is not necessary anymore. Penny mentions that "pretty much everything is great," and she finds herself slowing growing into the person she wants to be. But if Penny could go back, she says she wouldn't change a thing. The events that have transgressed have shaped and molded her for the better. Penny wants to help those who are dealing with what she has gone through and also wants to let them know that it can and will get better. Penny's bringing a cozy sweater look for a bit of February fashion in this chilly weather today. To start, she's wearing a pair of black high knee boots with a pair of medium wash, ripped jeans. Her top, of course, is a women's pink cable knit sweater, hinting a bit at the upcoming Valentine's Day. To keep warm with another layer, Penny also has on a ladies' green bomber jacket as a complementary color to the pink. For some casual winter fashion, Penny's got on a great look.